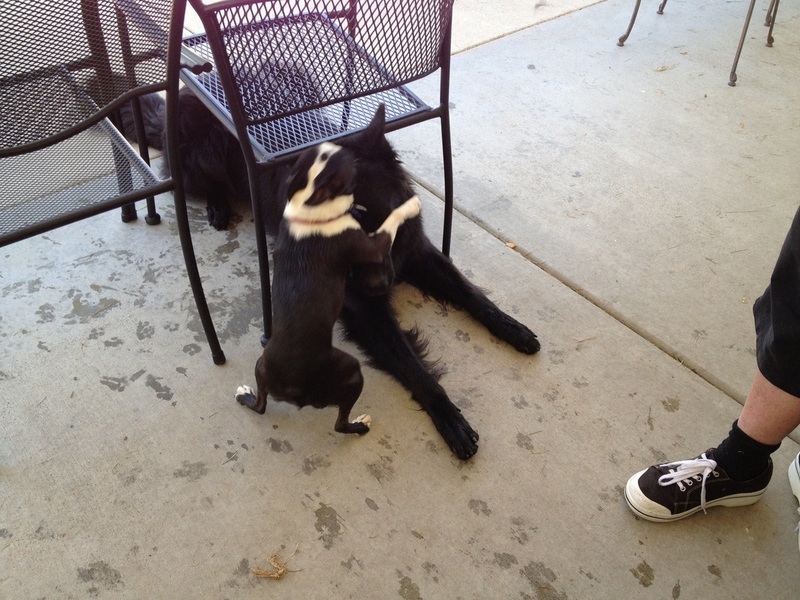 I am so proud of my students and their dogs. 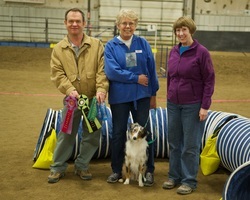 Here they are at the Lizard Butte Kennel Club Agility Trial in Feb 2014 with their new title ribbons. 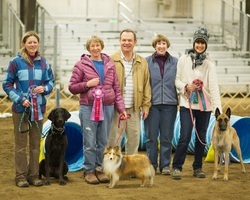 Congratulations on your 5 new titles, Claire Krigbaum and Indi, Nancy Stone and Rosepose, Kimbra Wood and Shelby. LaVar Griffin was our judge for the weekend. Thanks Randy Gaines for the great photo. 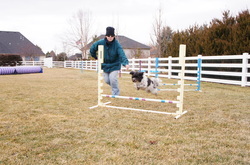 Cheryl Conrad and Manny completed their novice standard and jumpers titles on Saturday at the Lizard Butte trial. Thanks Randy Gaines for the great photo and thanks LaVar Griffin for the great judging. Here's a fun picture of Nick and Blossom playing in the water. This is from last summer. This is a picture of Katie and Dani with cheese on their paws. This is Step 4 of the "All About Choices" game. Below is a picture of me, Rosie, Dani, and Katie with more cheese on their paws. This is a great game for teaching impulse control. 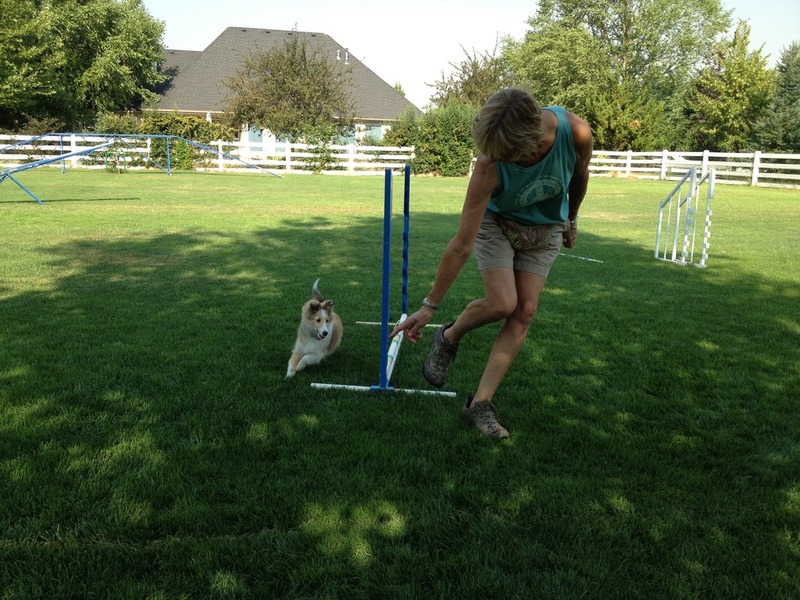 Here's Nancy and Posey training last summer. Posey is a sweet little fireball and brings a lot of joy to her household. 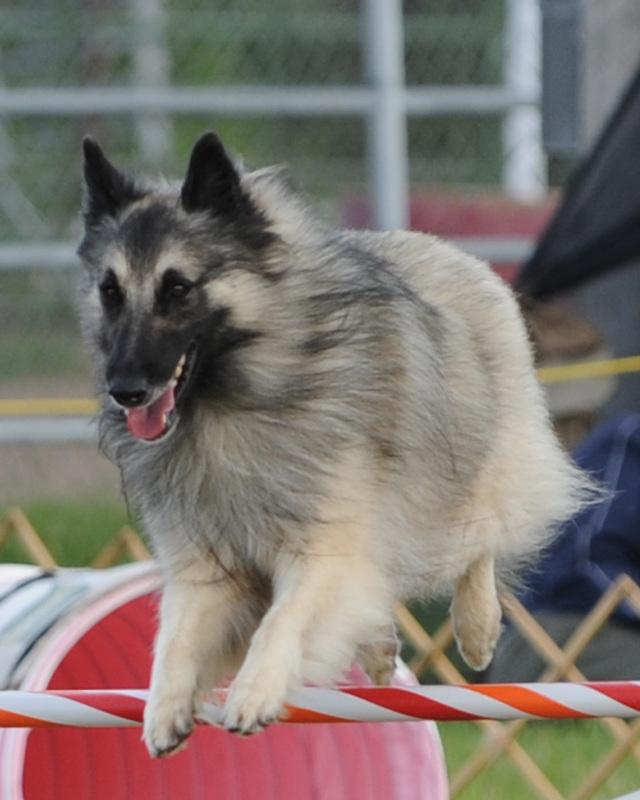 She will become an agility star when she grows up a bit. 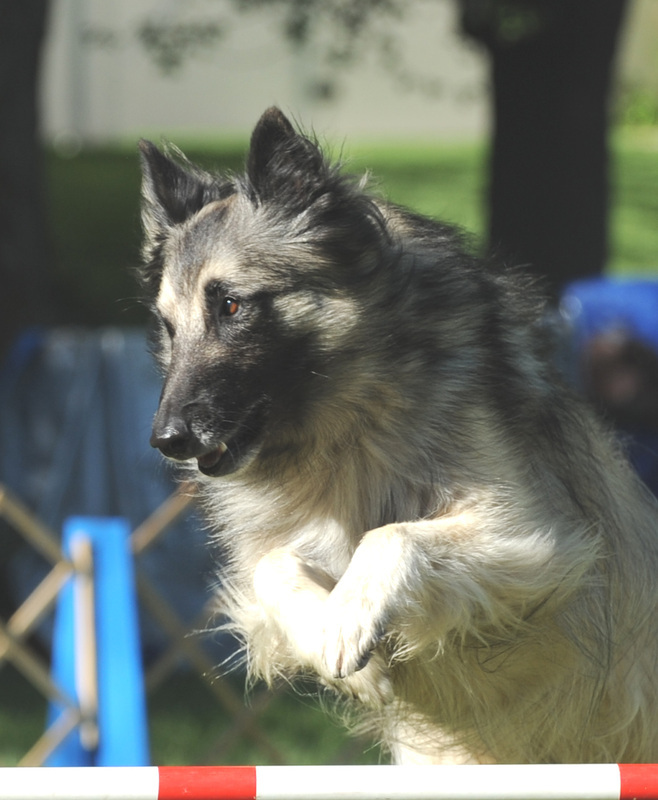 LandmarkMontage Shadow Puppet AXJ AX XF OAC OJC TN-O WV-N TG-N CGC, earned their MACH (Master Agility Championship) title on October 30, 2010 in Ririe Idaho at the Upper Snake River Valley Dog Training Club Agility Trial. They did it in style with a 2nd in Standard, and a 3rd in Jumpers, and also a Q in Excellent FAST for a Triple Q. 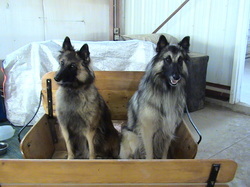 In fact, they have achieved Triple Q’s both Friday and Saturday too! 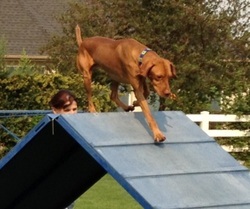 Nancy and Shadow are a very consistent, competent team that can handle most every course that comes their way. 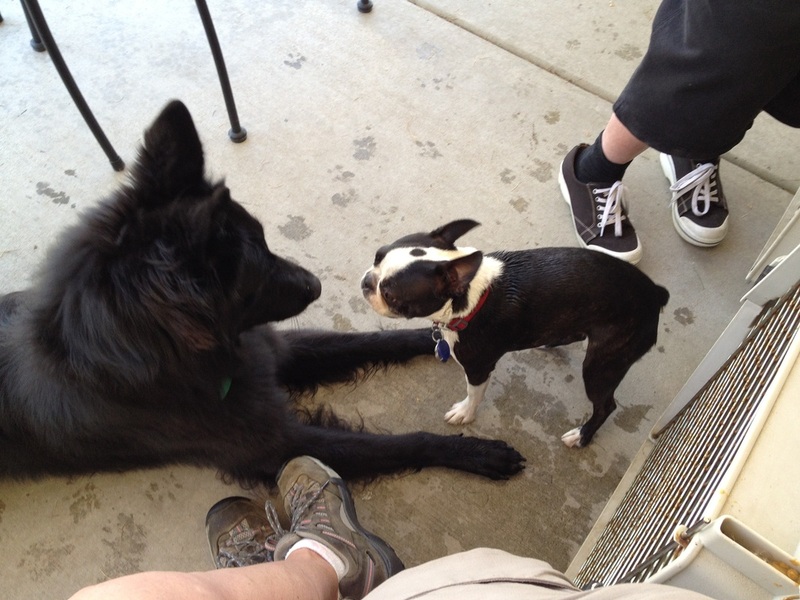 Nancy has done a great job of training Shadow. 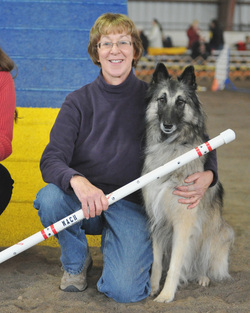 Congratulations Nancy and MACH Shadow. 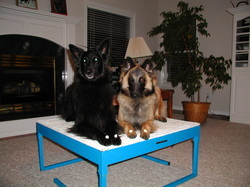 Shadow was retired from agility in 2011 but still has responsibility of running the houseful of dogs and cats at home. Photo by Randy Gaines. First 3 photos by Randy Gaines.